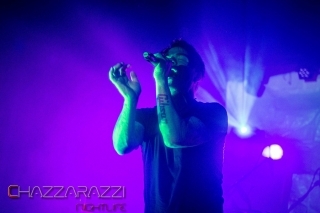 What more can be said about Stabbing Westward? 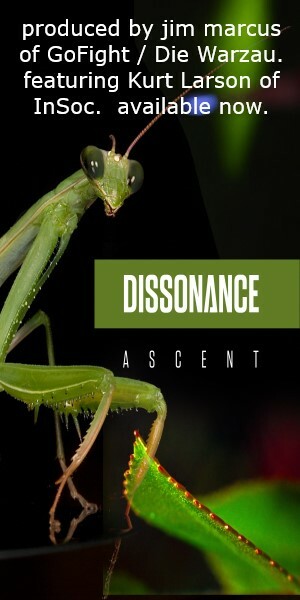 One of the biggest selling bands of the late ’90s and early 2000s, bridging the gap between mainstream alt. 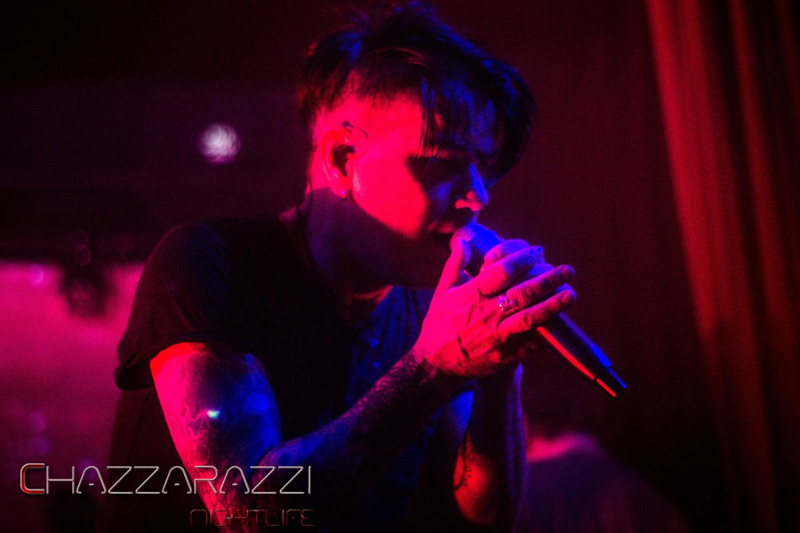 rock and underground industrial, Stabbing Westward has been enjoying a resurgence in the last two years. 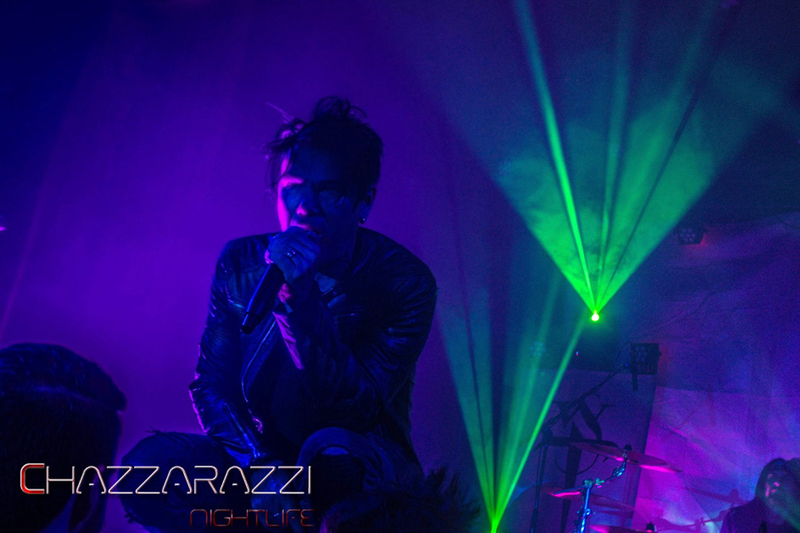 Two days after a headlining performance at the first ColdWaves L.A., the band proceeded northward for its last show of 2017. There to catch the show was Chazz Gold of Chazzarazzi Nightlife, to which ReGen Magazine would like to extend its deepest appreciation for offering this coverage of two stellar bands. 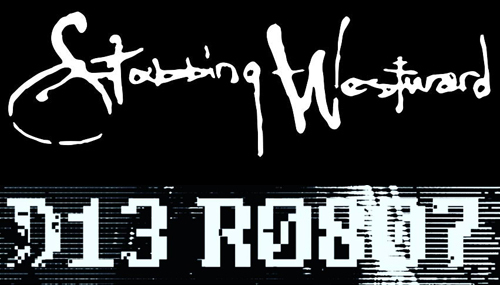 One must will say this for Portland – judging from the size of the nearly soldout show of Die Robot and Stabbing Westward at the Star Theater, the death rock and industrial scene is alive and well in this city. Having showed up moments before Die Robot took the stage and having to shove to the front to jockey for a suitable position to capture some photography of this amazing band, I was excited to see this band whose music I’d only heard through speakers and had yet to see performed live. 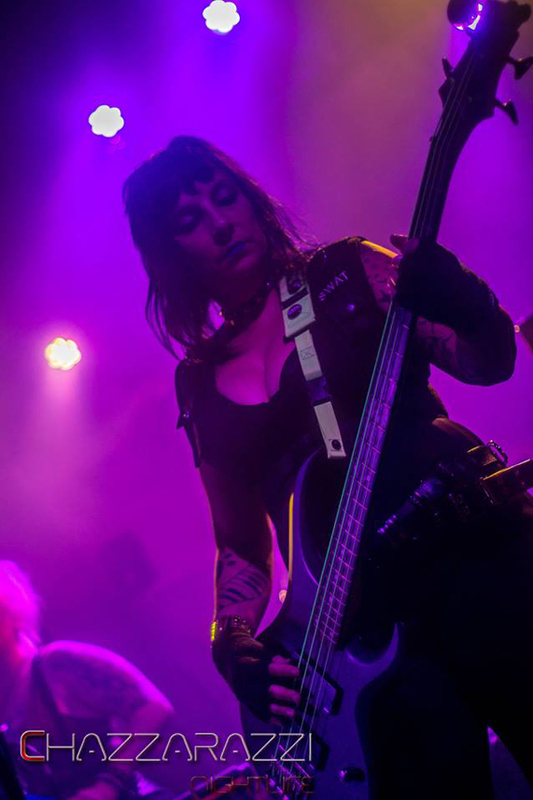 Regardless of the band members being friends of mine and knowing Barbie Saint to be of one the best DJs this scene has to offer… putting all that aside, Die Robot’s show did not disappoint. 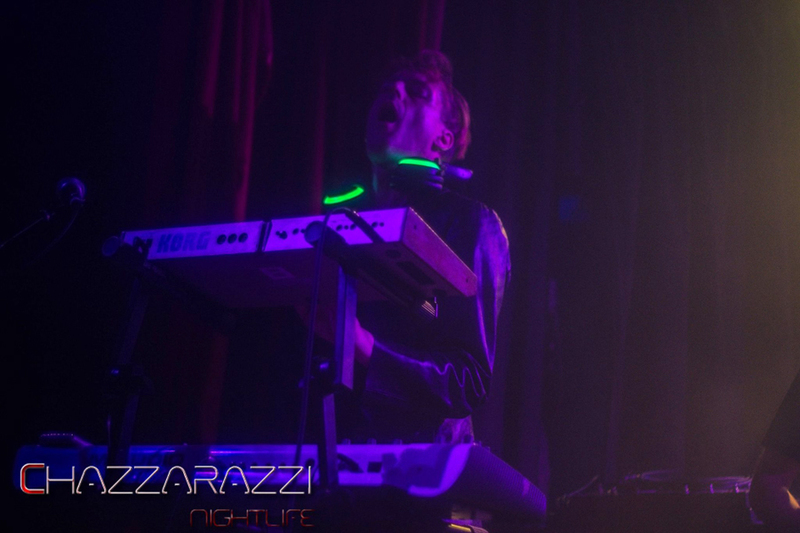 The band’s style of what it appropriately brands as technopunk has a driving, hard, danceable, yet infectious sound, while also possessing a captivating stage presence that demands you pay attention to the show. Die Robot took to the stage with crowd favorite “Armed Forces,” warming up the crowd with the track that featured in its latest music video; the crowd’s response in turn seemed to excite the band. All around the room were bobbing heads and smiles. 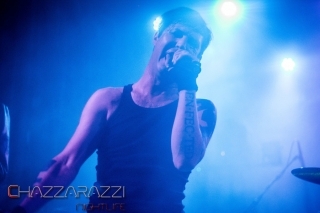 Other favorites like “Beautiful Skin” and “10,000 Years” highlighted the set, with Die Robot polishing off the opening display with the heavy, bombastic track “The Underground.” For my part, it was a pleasure to see the group live – vocalist Vince Christian in his all white outfit reminded of a cross between a young Dave Gahan and Ian Curtis, sharing a similar kind of stage presence. 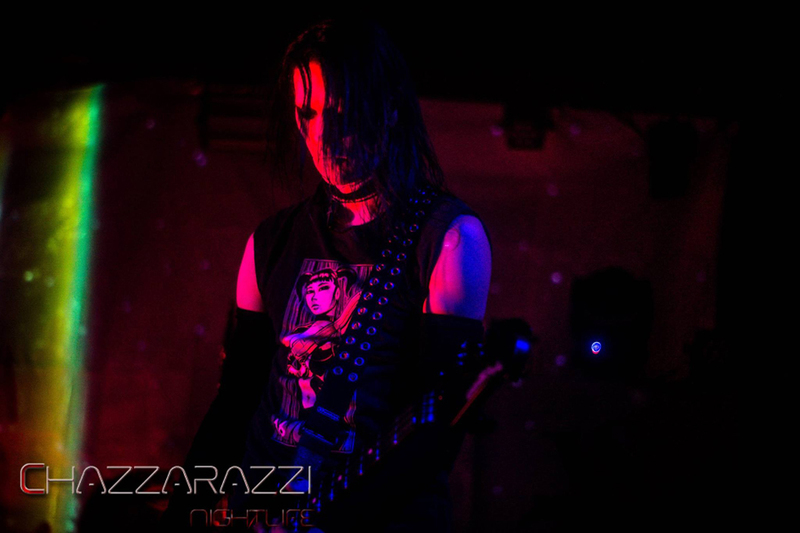 Put simply, Die Robot is definitely a band you do not want to miss live. Stabbing Westward did not disappoint either, especially for a band that had released its first album 23 years ago in 1994; having seen them back when I was still a young goth kid in the ’90s, this band still rocks as hard as I remember. 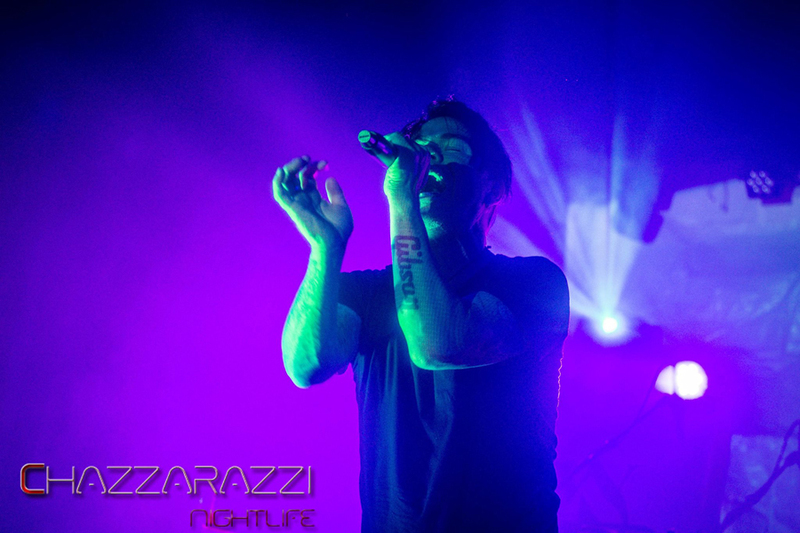 Of course, the requisite hits like “So Far Away,” “What Do I Have to Do?,” “Sometimes It Hurt,” “Shame,” and “Save Yourself” adorned the set to appease the longtime fans, but Stabbing Westward did well to scatter the set with some of my favorites like “I Remember” and “Wasted.” Christopher Hall is an awesome singer, still hitting those notes, making small talk with the crowd, cracking jokes, mentioning being all grown up these days and being a dad to his four-year-old. What was a particularly noteworthy bit of banter was Hall addressing the ghost that inhabits the Star Theater and asking it to play nice, which was fun and got a great laugh from the audience. 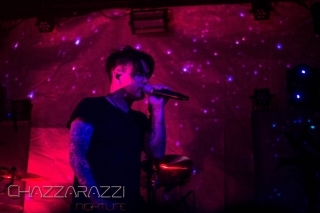 Coming on for an encore and ending the show with “Angel” from the band’s 2001 self-titled album, Stabbing Westward left with the whole crowd singing along; if that doesn’t mean star power, what does? After the show, being the rather awesome guy that he is, you could catch Hall at the merch table chatting everyone up. 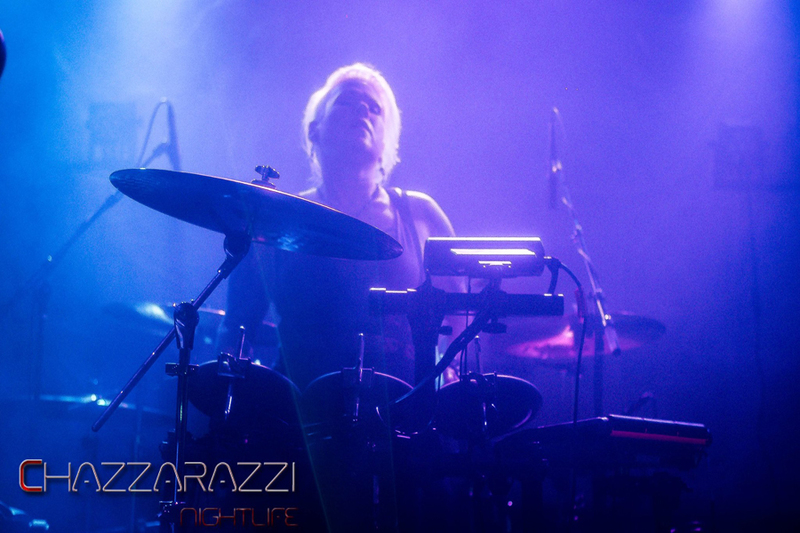 Article and photography by Chazz Gold, courtesy of Chazzarazzi Nightlife.